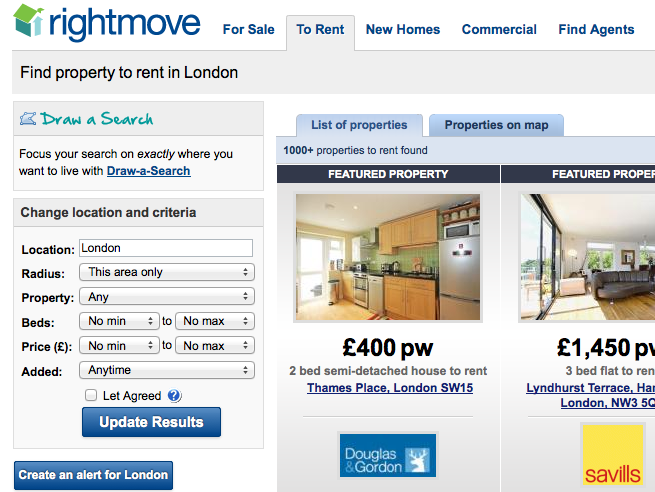 Rightmove.co.uk lists a wide range of property types and styles, from studio apartments to detached family homes. It is ideal for students, young professionals and families alike. It is the perfect property finder for those who want detailed information and variety of properties to choose from. However, the site can often feel a bit tricky to use due to its messy layout. Rightmove.co.uk is an easy to use website if you’re looking for a wide range of different properties and prices throughout the capital. With a good range of filters, it’s good for those who are looking for a good range to browse through before making their decisions. Go back to Long Term Accommodation in London for more websites offering accommodation solutions in the capital.